Since it was founded in 1995, Ebay has long led through innovation. It’s re-vamped the entire idea of auctions and applies a new kind of technology to help commerce be facilitated globally. Today, Ebay is much, much more than just an auction site. The company has grown into a global commerce and global payments platform. Ebay has grown from being just an auction site to also owning the online payment portal – PayPal. Ebay is where people go to shop, sell and give. 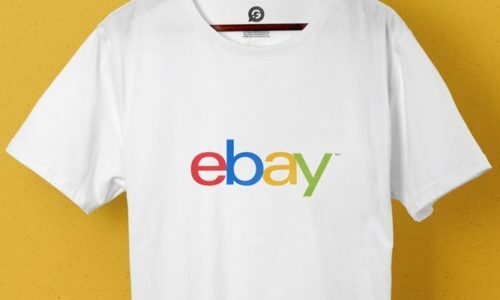 Whether you’re buying old or new, used or one of a kind, if it exists, it’s probably on Ebay and seller’s have the platform and support to thrive and grow their businesses, with Ebay partnering with them, not competing. At an internal event called ‘Innovation Arts’ we were asked to come up with a number of printed T-Shirts which featured Ebay’s logo on the sleeve and the ‘I BELIEVE’ tag on the front left breast. On the back, there was a slogan in a font which was chosen by the customer. We were asked to produce the printed T-Shirts for the upcoming events, which would be taking place in various different countries around the globe. The biggest challenge for us was ensuring that the offices in the USA, Germany and the UK were all satisfied with the completed garments. In order to ensure that there were no complaints about the quality, we arranged for samples to be sent to each of the three countries so they could be checked and approved before we sent the entire order to print. We created samples using the screen-printing technique and arranged for these samples to be sent to three different countries all the while remaining in constant communication with the client. Once the samples were received they were quickly approved and we could send the rest of the order to print. We used a one colour, white, screen print on a black T-Shirt and, once the garments were finished, we arranged for them to be dispatched directly to the client using a fast delivery method to ensure that all garments were with them in time and ready for the event. Whether you’re looking for printed T-Shirts, embroidered polo shirts, personalised jumpers or something more niche such as printed USB sticks, Garment Printing is here to help turn your ideas into reality and help your company grow. If you’d like to get in touch and create some promotional merchandise of your own, click the button below!